Being the home of many Muslim sages and saints, India features many shrines that have been visited by people from all over the earth. To explore the best amongst them all, Tour My India has designed a special tour package called 'Dargah Tour in India,' which will take you to the famous shrines in Mumbai, Jaipur, Ajmer, and Agra. This six day guided tour will begin from Mumbai, where you will spend a day to visit the sacred Haji Ali Dargah Sharif. Today, When in Mumbai, you will also visit the major attractions of Mumbai like Gateway of India, Marine Drive, Prince of Whales Museum, to name a few. On the third day, you will catch a flight for Jaipur to visit Ajmer Sharif Dargah. Also on the same day, you will visit the Adhai Din Ka Jhonpra, and Ana Sagar Lake. 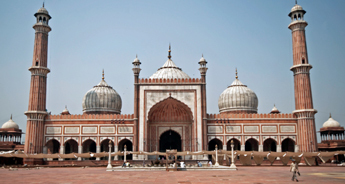 From Ajmer, embark on a trip to Taj Mahal via Fatehpur Sikri. Not only by opting for this tour, but you will visit the sacred dargahs but also the finest masterpieces of Mughal dynasty like Taj Mahal, Fatehpur Sikri, and Agra Fort. Your tour will end in Delhi, and then you will be transferred to the airport or railway station. To know more about this tour, go through the detailed itinerary mentioned below. On arrival in Mumbai, meet our representatives who will transfer you to the hotel for overnight stay. Embark on a flight to Jaipur as your stopover will be Ajmer, which is 2 hours away from the airport. Dinner and overnight stay at the hotel. 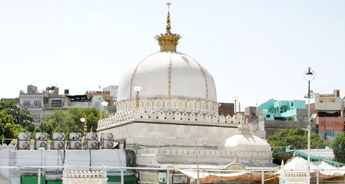 After breakfast, visit the Dargah of KhwajaMuin-ud-din Chishti (Ajmer Sharif Dargah). 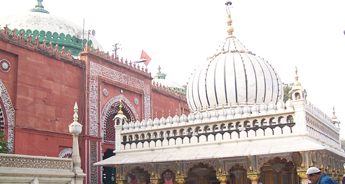 Reckoned as the tomb of Sufi saint, KhwajaMuin-ud-din Chishti, the Dargah was constructed during the Mughal period. Devotees of all sects and faiths come here as the saint’s blessings. Post dargah, visit Adhai Din Ka Jhonpra, and Ana Sagar Lake. Overnight stay at the hotel. Post breakfast at the hotel, drive to Agra. 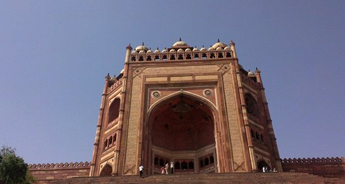 During the journey, visit the FatehpurSikri, the short-lived capital of Akbar. Akbar visited Sikri to consult the Sufi saint Shaikh Salim Chishti, who predicted the birth of an heir to the Mughal throne. After a short visit to Agra. Dinner and overnight stay at the Agra hotel. In the morning, visit Taj Mahal and post breakfast visit, Agra Fort. Later continue drive to Delhi. On arrival at Delhi, you will be transferred to the railway station or airport to board a train or flight to journey onwards.